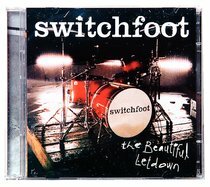 Switchfoot's THE BEAUTIFUL LETDOWN (2003) arrived on the heels of 3 critically acclaimed indie releases over the past 7 years, and has quickly proven itself to be the band's strongest album yet, earning them a hit single at rock and alternative radio with 'Meant To Live.' Record sales have eclipsed 1 million in the US, and sold out shows all across the country. See for yourself what the buzz is all about. This limited edition of Switchfoot's breakthrough album includes a DVD, sticker and unreleased material! DVD features include original music videos, behind the scenes interviews, 'making of' footage, an unreleased acoustic performance and more! About "Beautiful Letdown Limited Edition With DVD"